This fab Junior Zoo Keeper t-shirt has been styled on the actual uniform worn by our zoo keepers at ZSL London Zoo and ZSL Whipsnade Zoo. 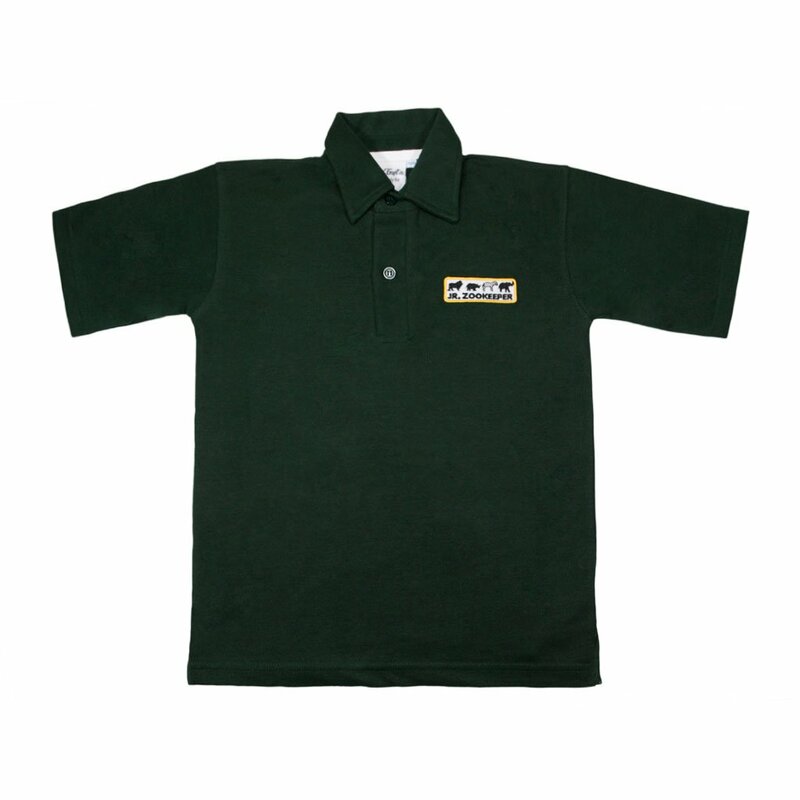 Made from 100% cotton in dark green, this Junior Zoo Keeper polo t-shirt features a ‘Jr. 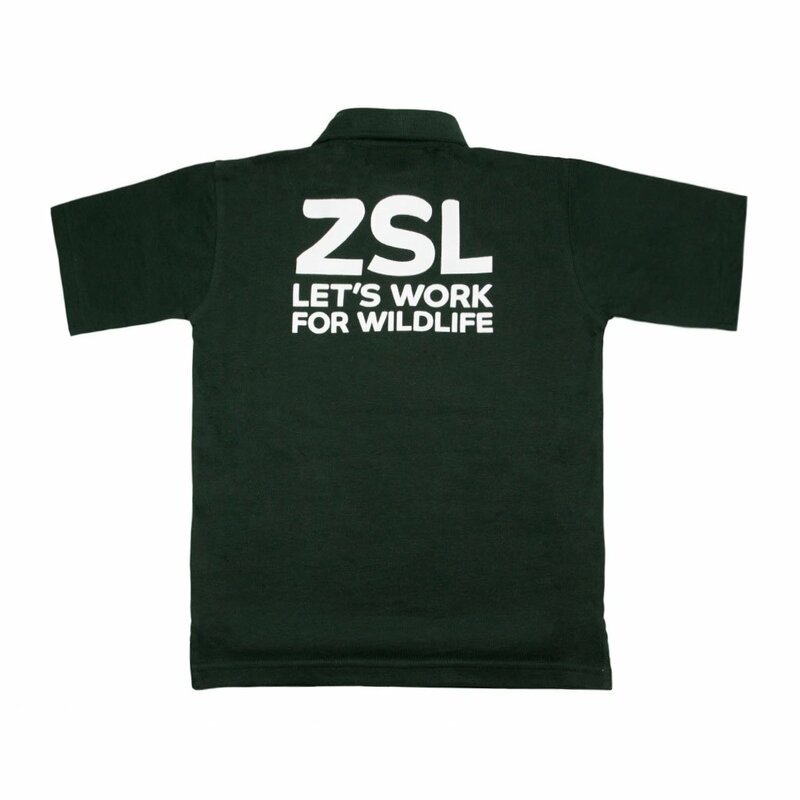 Zoo Keeper’ patch on the chest with the ZSL logo printed in white on the back. Perfect for a day at the zoo, complete the Junior Keeper outfit with the matching hoodie and shorts. Ordered the tshirt, cap and socks for my kids! Came beautifully wrapped and boxed! They were zoo keepers at a carnival and were adorable! Thanks so much for the efficient and prompt service! I bought the 1-2 years size for my son who is 14 months. It's still too big for him but I can't wait for him to fit into it! Lovely quality and packaging felt really personal. He is animal obsessed so this is perfect for him.